Check the availability of your preferred dates. To reserve your dates contact us by e-mail or telephone 015242 41059 (do leave a message if we are out and we’ll call you back as soon as we can). If the dates are still available, we’ll reserve the cottage for you. Fill in the On-line booking form here and then send us a deposit of £100 which can be done by cheque, BACS bank transfer or credit card (via PayPal) – we’ll send you details of how when we get your on-line booking form. Upon receipt of your deposit, we’ll confirm the reservation. We’ll then send you cottage direction and key collection details on receipt of the final payment which is due 6 weeks before your arrival date. 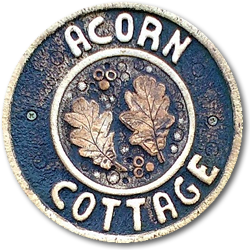 We look forward to hearing from you and hope to welcome you to Acorn Cottage.